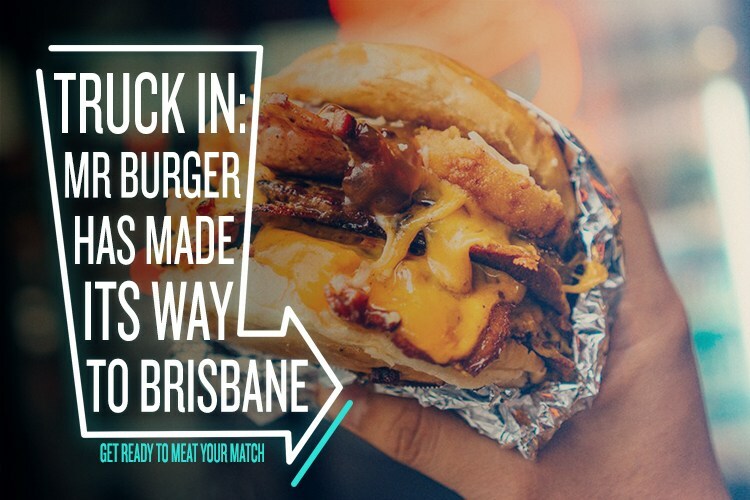 Burger lovers of Brisbane, get ready to meat your match! 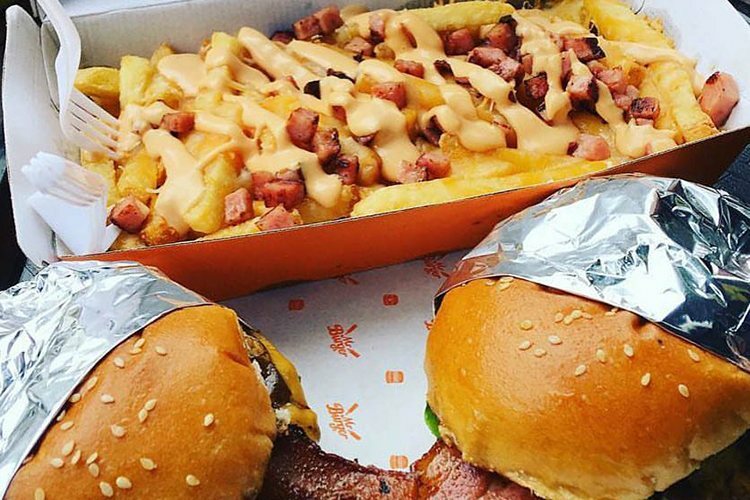 Melbourne cult favourite Mr Burger is in town, and you’d better believe we want some of these buns. Started by Daragh Kan and Myles Munro in 2012 after a trip to the USA, these American-style burgers are famous for a reason. 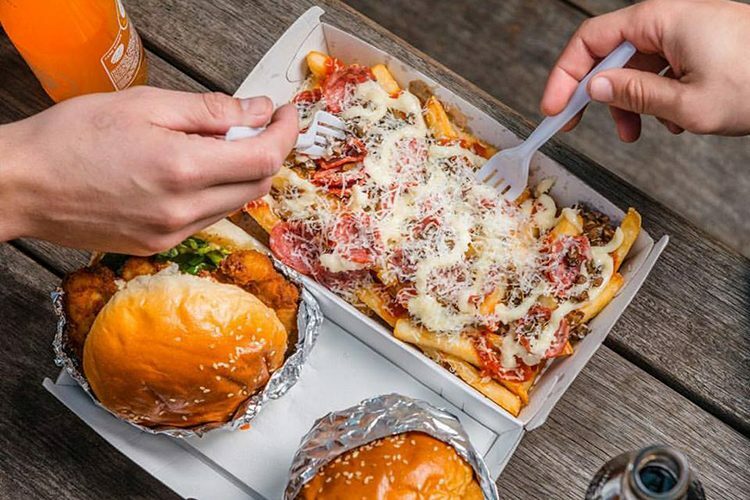 They’ve been voted Melbourne’s best burger on numerous occasions, and the Brissie food truck is serving up all of the favourites. You can raise the steaks with the Mr Meat, spice up your life with the Mr Hot, or double down with the Mr Double. And if you need a little something on the side, Mr Burger has you well and truly covered. Their trucker chips (topped with three kinds of cheese, secret sauce and crispy bacon) are truckin’ awesome, and their pizza chips (slathered with pizza sauce, pepperoni, mushrooms and cheese sauce) are like a small slice of heaven. There are even chipotle shaker fries, perfect for anyone who likes to shake things up. 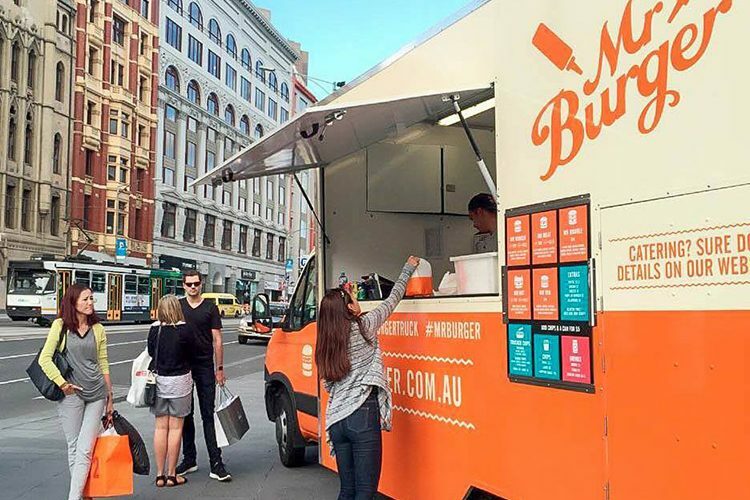 While there is potential for a permanent store in Brissie, for now it’s just the truck. So make sure you keep an eye on their Twitter for more information about where to catch them! We spoke to Daragh to find out a little bit more about the Mr Burger story. Hi Daragh, thanks for chatting to us. Can you tell us a bit about your background and how you ended up in the world of food trucks? In early 2012, Myles and I ate our way through as many food trucks and burger joints in San Francisco, New York, Austin and Miami as we could. We’d been running the Mercat Cross Hotel for a few years and were looking to launch our pub’s food offering with something interesting. We came back to Melbourne and started plans for building a food truck to put inside the foyer of the pub. But there was one issue: the doorway was too small to fit the truck through. Undeterred, we took out a lease on an old mechanic’s warehouse around the corner and put the truck there. After toying with a dozen or so cuisines, we decided a burger truck was the way to go. The next few months involved hundreds of burger tastings, lengthy searches for the ideal bakers, cheesemakers and local producers, and countless taste-tests with family and friends, until we finally created our perfect burger. And, in October 2012, Mr Burger was born. 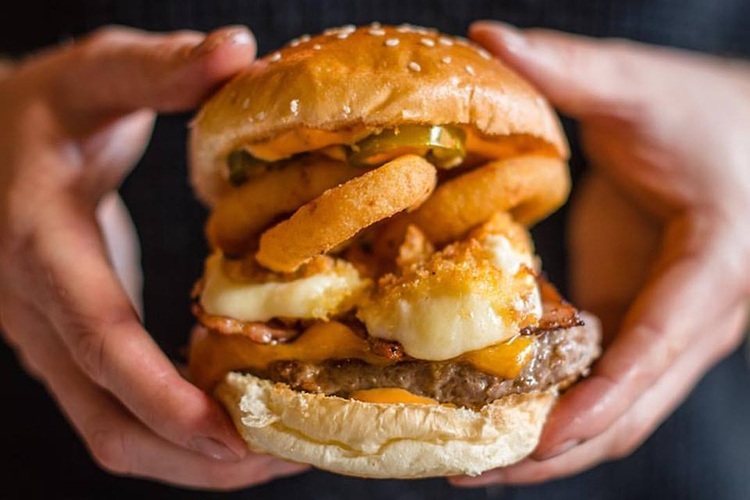 The Double with onion rings and fried mozzarella sticks: Yes please! What are some of the best things about having a food truck over a brick and mortar shop? Having a food truck allows us to visit a whole host of different locations and sites each week. From music festivals, street trading and 18th parties through to 80ths, operating a food truck means that no two days are the same, and we have the opportunity to serve burgers that we are proud of, to a whole host of different people. You’re based in Brisbane temporarily, but do you have any plans for a more permanent set up? Since opening, we’ve been absolutely overwhelmed by the support and following we’ve received in Brisbane! We are here for the 6-month food truck trial through the Brisbane City Council, which is a great opportunity for us to find the best locations and sites while building our fanbase locally. After the trial, who knows! We might have a store or even a couple more food trucks roaming the streets! What’s better than hot chips? Pizza chips! What’s the secret to a perfectly cooked burger? Using the best possible ingredients at every stage of the process. From the best buns, to the perfect cheese and amazing beef, each step of the way the product needs to be the best possible to ensure not only a perfectly cooked burger, but one that will keep you coming back for more and more! What does your ideal burger look like? Beef or chicken? Onion rings? Bacon? Our classic burger is a beef burger, with the classic accompaniments. Creamy mayo, with lettuce and tomato gives a great fresh salad base, with the holy trinity of pickle, mustard and ketchup giving a great classic American bite. Combine that with thick cheddar cheese, a crispy and juicy beef patty and a soft bun, and you’ve got a recipe for perfection! We combined these ingredients into our classic Mr Burger and we think it’s the perfect American-style cheeseburger. Your trucker chips are pretty famous by now. Without giving too much away, how did you come up with the secret sauce? Through way, way, way too much taste testing! It took a long time, but we tried to create a classic American-style secret sauce that seems so familiar, but also very, very hard to master! When you’re in the mood for something a bit different, where do you love to go for a great meal in the area? We love trying some of Brisbane’s best food trucks at Green Beacon, washed down with their amazing new Blood Orange IPA, the Whaler. We reckon you can’t go past it! May the burgers be with you – keep an eye on Mr Burger’s website and Twitter to track them down!